If you regularly read my blog you will by now know all about the wonder that is Degustabox. A monthly subscription box packed full of delicious food and drink items, many of which you will most likely never have seen or tried before. This month’s box was a mixture of familiar faces and completely new discoveries for me. Let me tell you all about what I had, and then I’ll give you a fantastic discount offer! 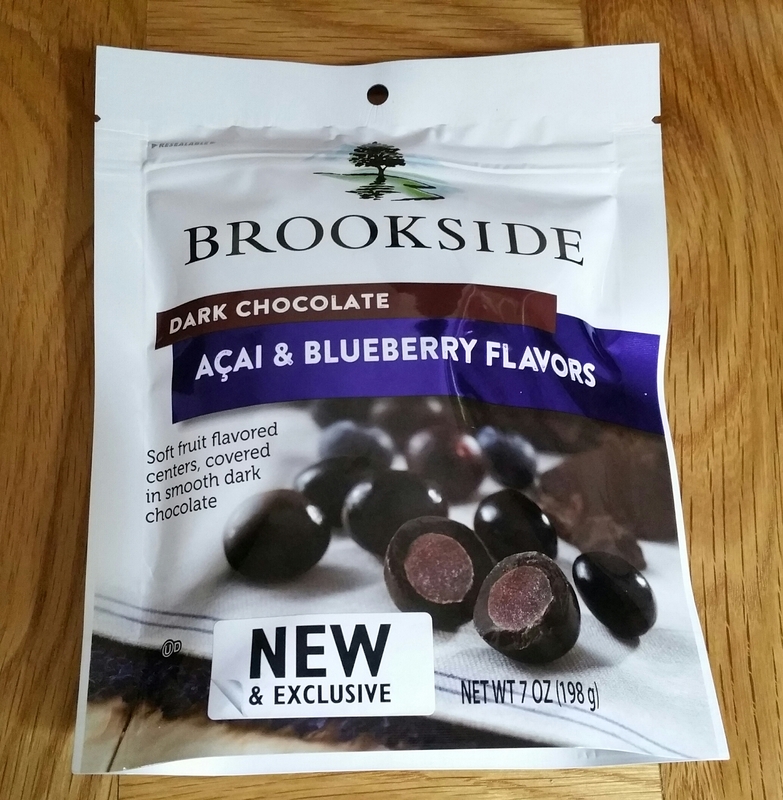 My personal favourite item this month had to be BROOKSIDE CHOCOLATES… DARK CHOCOLATE WITH ACAI AND BLUEBERRY FLAVOURS. They were a new discovery for me but one I was soooo delighted to be introduced to. These were the most scrumptious treats, beautifully fruity centres covered in perfectly rich dark chocolate. They come in a resealable pack so you can keep them fresh. Slightly chewy, very moreishly addictive, I definitely need to find somewhere that sells these as my pack has long gone and I need my next fix! The RRP for these is £3.40. Well worth every penny. Another wonderful new discovery was CRACKER DRINKS…. PINEAPPLE, COCONUT AND LIME. 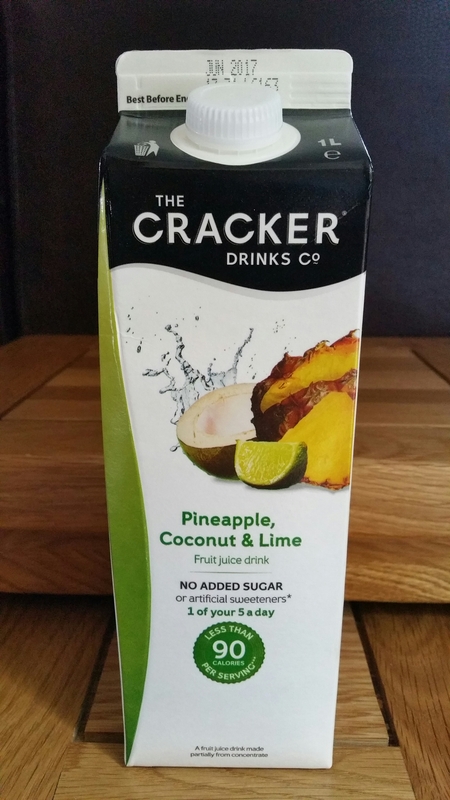 The Cracker Drinks Co. prides itself on using all natural ingredients with no added sugar or anything artificial, “allowing the pure taste of the fruit to speak for itself”. This pineapple, coconut and lime drink was beautiful. When you first take a sip you get the sweet taste of pineapple but within seconds the creamy taste of coconut comes through along with the sharpness of lime, and the combination of all 3 together is just so refreshing. Perfect straight from the fridge on a hot day. A serving counts as 1 of your 5 a day, and has less than 90 calories! The RRP is £1.50. I’m looking forward to trying other flavours now! 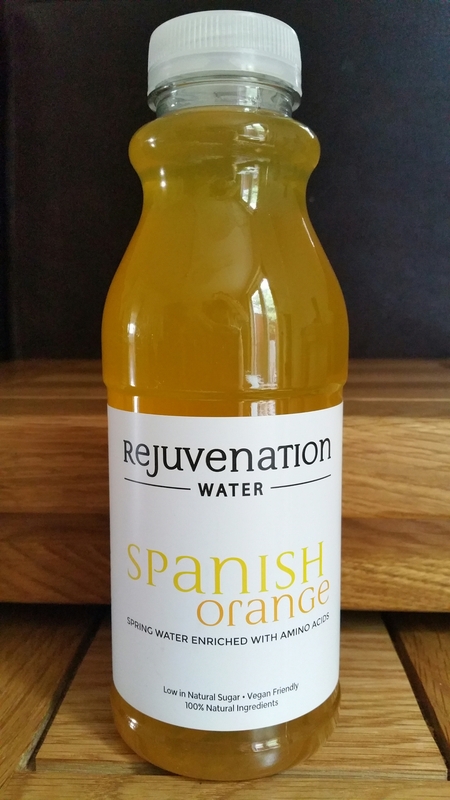 I had tried Apple and Mint REJUVENATION WATER in a previous box and enjoyed it, but this time I had a different flavour, Spanish Orange. I absolutely loved this! I drank it chilled on a recent hot day and it was so refreshing. There is something so different about this drink. There are plenty of flavoured spring water drinks out there, but Rejuvenation Water is unique. It is a natural spring water flavoured with natural fruit juices, but it is also enriched with amino acids which aids protein digestion, helps to build a natural resilience to stress, anxiety and depression, and fuels the immune system and central nervous system. It is also available in Ginger and Lime, and the RRP is £1.99. An ideal pick-me-up drink for a busy day! 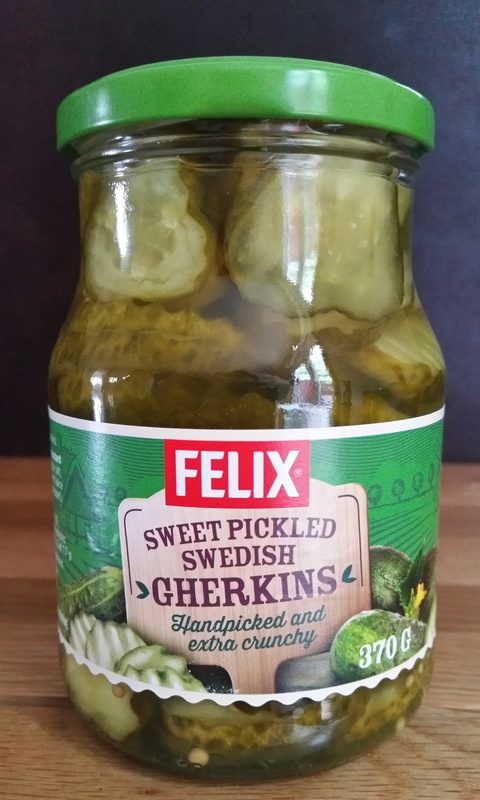 I received a jar of FELIX GHERKINS, sweet pickled and handpicked in Sweden. Gherkins are like Marmite… you either love them or hate them. Unfortunately just like Marmite, I hate them. Fortunately a good friend of mine loves them so I gave the jar to her. She ate one straight from the jar and said they were lovely and crunchy and she was going to enjoy the rest over the next few days and include them in a BBQ she was due to have. The RRP is £2.15. I have to say it was a big jar so brilliant value. 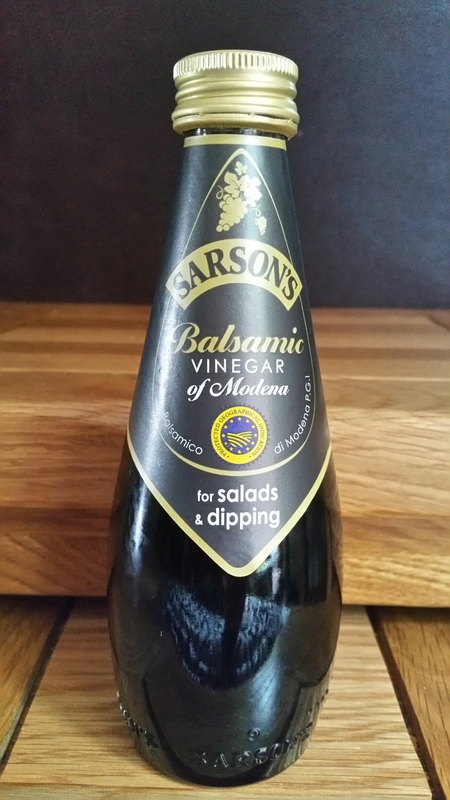 I was pleased to see a bottle of SARSON’S BALSAMIC VINEGAR as I had run out of my previous bottle of another brand. I love balsamic vinegar and use it so often. It is great drizzled over a crispy green salad or gently drizzled on to olive oil to make a tasty dip for fresh crusty bread. 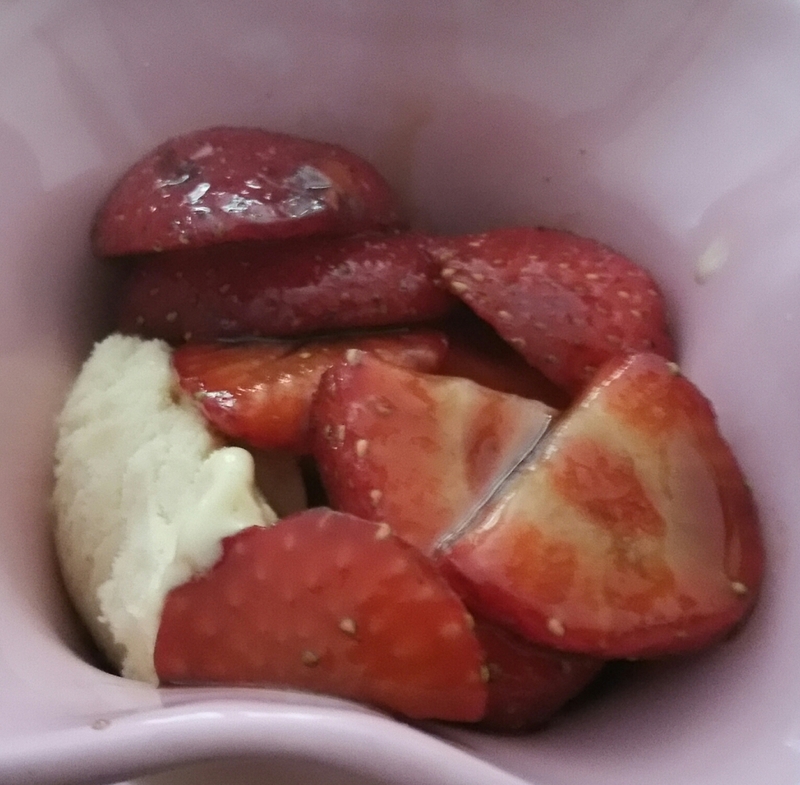 My favourite way to use it though is to mix 1 part vinegar to 2 parts caster sugar, pour over chopped strawberries, mix well until all the strawberries are coated and serve with vanilla ice cream. Yum! This Sarson’s vinegar was the perfect blend of sweetness and tanginess. The RRP is £1.99. 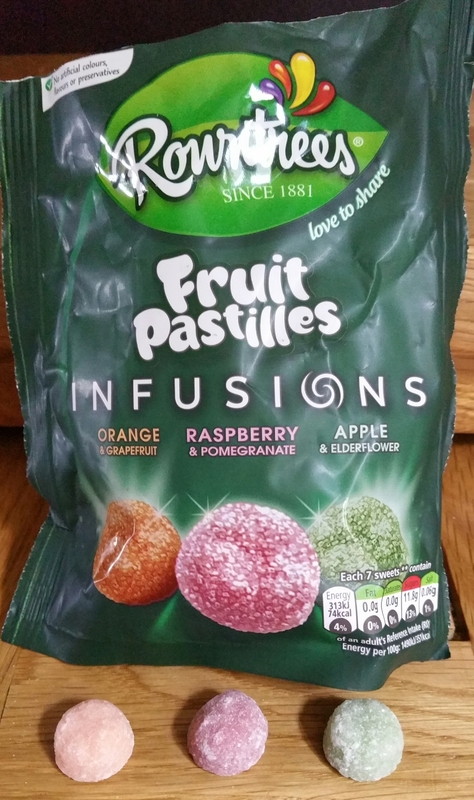 Another new treat for me was ROWNTREE’S FRUIT PASTILLE INFUSIONS. Obviously I’ve eaten and enjoyed normal fruit pastilles before, but this was the first time I had seen these new flavours: orange and grapefruit, raspberry and pomegranate, and apple and elderflower. They were so delicious! All 3 flavours were equally beautiful. One serving is 7 pastilles. I would like to say we were good and stuck to that, but I can’t. Oops! One serving contains just 74 calories and no fat! They contain no artificial flavours, colours or preservatives. We regularly have a 90 minute drive to Weston and we like to take a bag of sweets for the journey. These are perfect for that as we all loved each flavour. The RRP is £1.29. 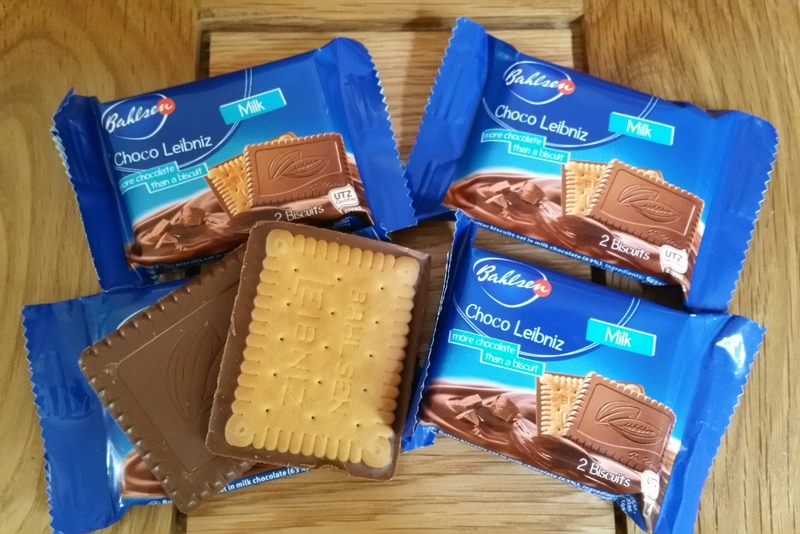 I have enjoyed BAHLSEN CHOCO LEIBNIZ biscuits before so was over the moon to receive 4 packs of 2 biscuits, perfect for taking out on picnics or days out. The milk chocolate is lusciously thick and creamy tasting, and the buttery biscuits are so yummy! The good thing about having these individual portion packets is that you aren’t tempted to keep having just one more, as there isn’t one more! Or is that just me who does that? Ahem. Moving on swiftly…. the RRP is 40p per packet of 2. Bargain! 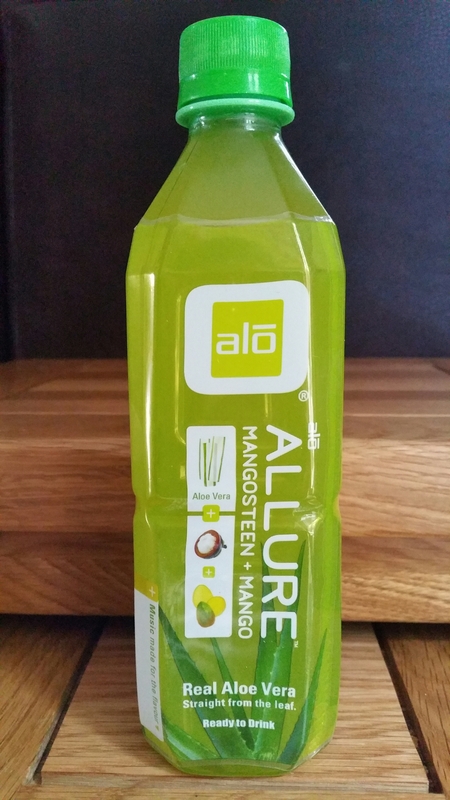 I was intrigued to try the ALO DRINK that I received. It is a drink made from real aloe vera, and because it is made from the pure plant, you get all the benefits that aloe vera delivers. It is gluten and fat free, and free from all artificial nasties. I received the mangosteen and mango flavour, but you can also get lots of other flavours. I found it a bit of a strange drink as it had chunks of aloe pulp in it which were rather jelly-like in consistency, and I wasn’t a huge fan of the taste to be honest, but my other half gulped it down. The RRP is £2.45. 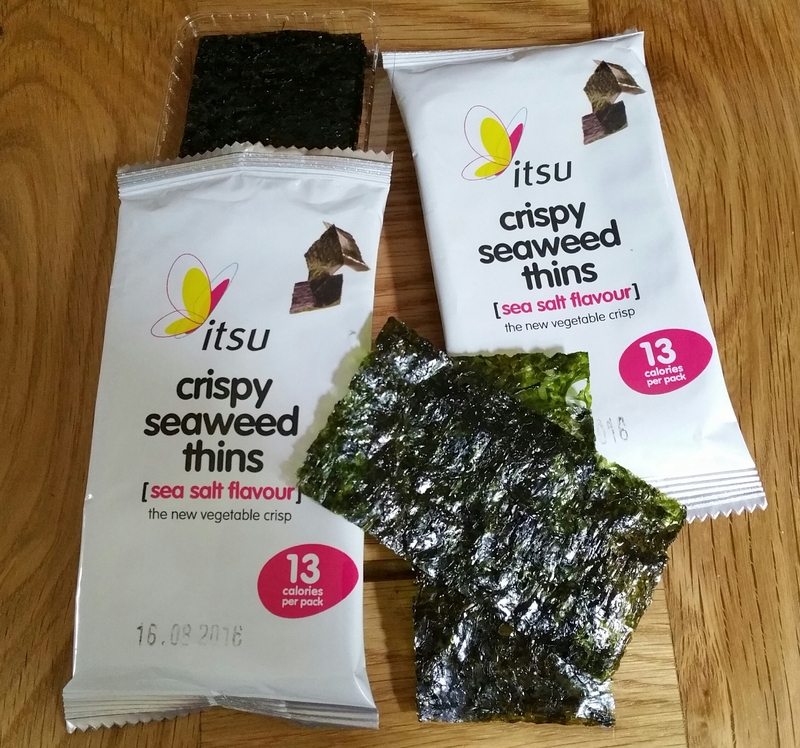 I received 2 packets of ITSU CRISPY SEAWEED THINS in sea salt flavour. I was a little bit dubious about trying these but I was very pleasantly surprised by the taste! They actually tasted really good! One whole pack only has 13 calories in, and they are jam packed full of zinc, iron, iodine, and vitamin B12, so super healthy. You can enjoy them on their own as a crispy snack, or sprinkle up over a salad, or do what I did with one pack…. sprinkle them into cream cheese, mix well, and enjoy slathered on a bagel with some fresh smoked salmon. Mmmmmm. The RRP is £1 per pack. Yet another tasty new discovery for me was this large sharing packet of SEABROOKS LATTICE CRISPS. 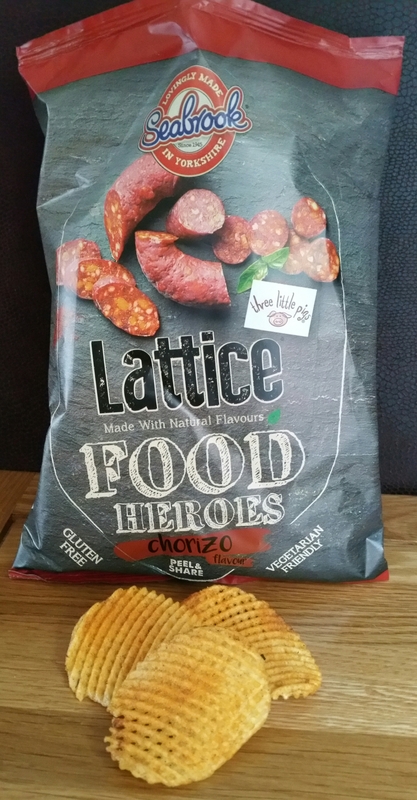 I had the chorizo flavour but others are available. They were super crispy and full of flavour. They are gluten free and amazingly are suitable for vegetarians, as the flavour has been created using natural ingredients but not pork! Now that’s not something you see every day! I will definitely be looking out for other flavours in this range as they looked, felt and tasted such high quality. Delicious! The RRP is £1.99. 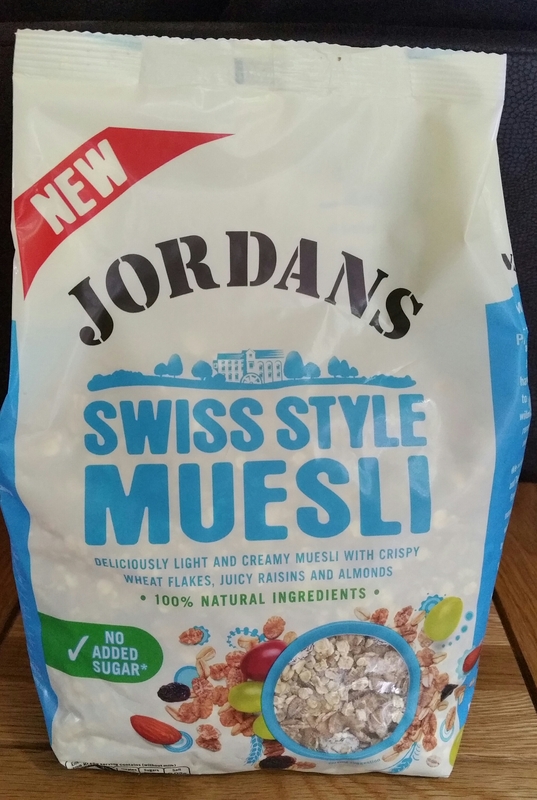 I love muesli and am a huge fan of JORDANS as a brand already so was pleased to receive a bag of Swiss Style Muesli. It was full of scrumptious almonds, raisins, wheat flakes and oats, and was the perfect blend of crispy, crunchy and juicy. It is made with all natural ingredients, with no added salt or sugar. It is high in fibre and low in saturated fat so healthy as well as tasty. I love it with milk or yoghurt for breakfast, or sprinkled into a crumble mixture for added texture and taste on a heavenly raspberry crumble. The RRP is £2.79. 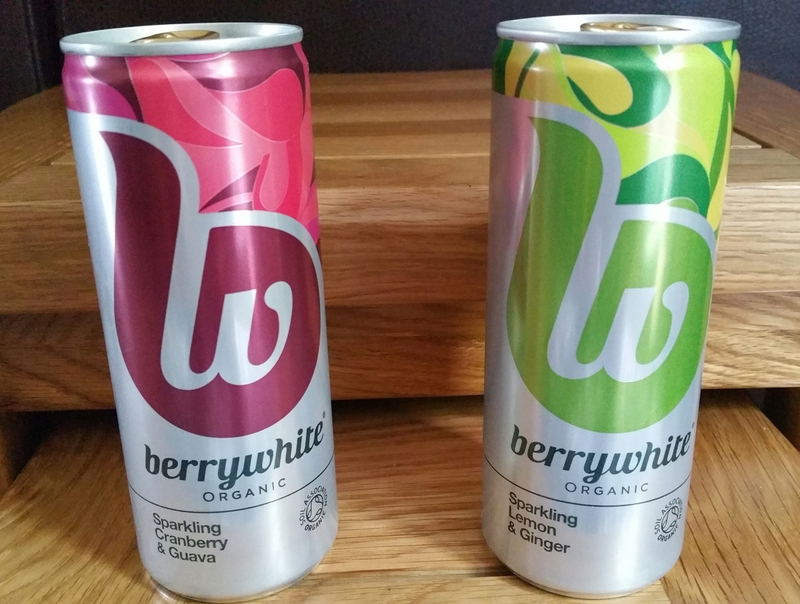 I had never heard of BERRYWHITE ORGANIC DRINKS so was excited to try these 2 cans. I received Cranberry and Guava, and Lemon and Ginger. You can also get Pomegranate and Blueberry, and Peach and Goji Berry in the sparkling range, and all of these flavours are also available in still versions. I prefer sparkling so these suited me perfectly. They are award winning drinks made with all natural and organic ingredients, with no added sugar and 50% fruit juice in each drink. I drank these chilled on hot days and they were so refreshing. The flavours were delicate yet delicious. As well as being good for you to drink, they are also great for less fortunate people across the world, as Berrywhite donate 10% of all their profits to charity, which makes them even more appealing to me. The RRP is £1.19 per can. The final item I received was a can of QCUMBER. I have had this before, as I discovered them at a BBC Good Food Show last Summer. It is a lovely refreshing blend of sparkling spring water and natural cucumber. One 250ml can contains just 65 calories. If you don’t like cucumber you’ll hate this as the taste is fairly strong, but if like me you like cucumber, this is an extremely refreshing satisfying drink. I know a lot of people use it as a mixer for a gin based drink, but I have found it is beautiful mixed with a tiny amount of rosewater and served in an ice filled tall glass. I’m a big fan! The RRP per can is £1.45. You can also buy it in large bottles. (I have one in my fridge right now hehe). So that was the July box. As you can see it contained a whole range of tasty treats! 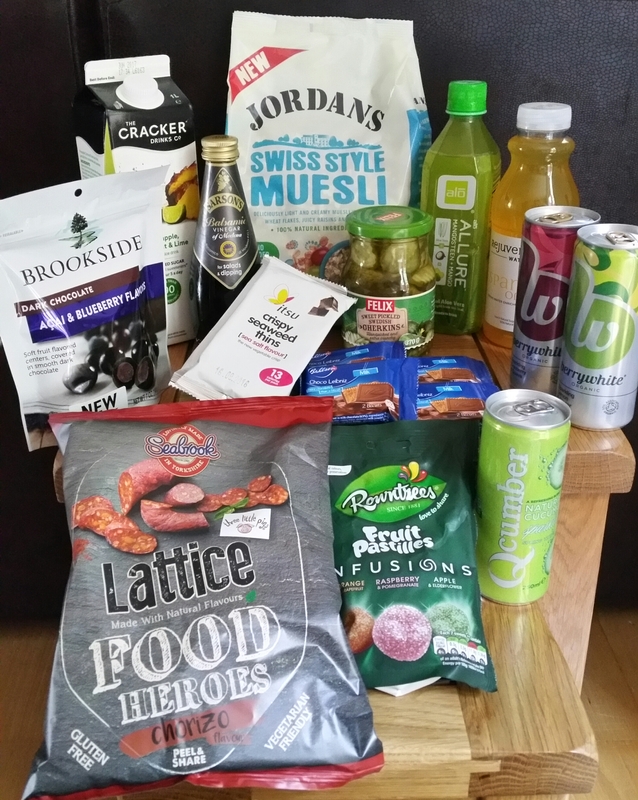 Degustabox costs just £12.99 per month and that includes delivery via DPD (the best couriers in my opinion). The products you receive are in total worth around double that price so it is exceptional value for money, and gives you the chance to try new products you would probably not otherwise buy yourself. The extremely kind people at Degustabox are so nice though that they want you to try your first box for less than half price! If you click HERE to go to their website, enter the code BLDEG15 at checkout and you will receive a £7 discount! That makes your first box just £5.99 including delivery! That has to be worth a try. Enjoy! DISCLOSURE: I received this box for free for the purpose of giving an honest and unbiased review. This in no way impacts on my opinions. I see no point in saying something is great if I don’t feel it is. All views expressed are my own truthful opinions. « June Degustabox … BBQ Time!